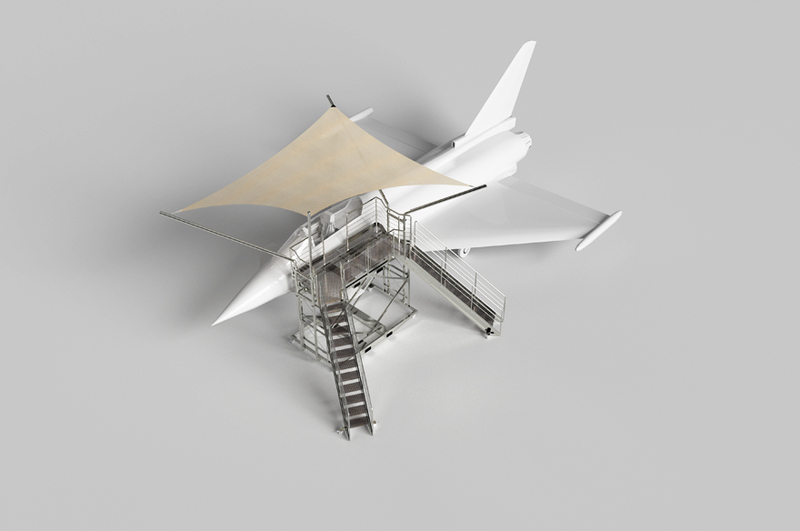 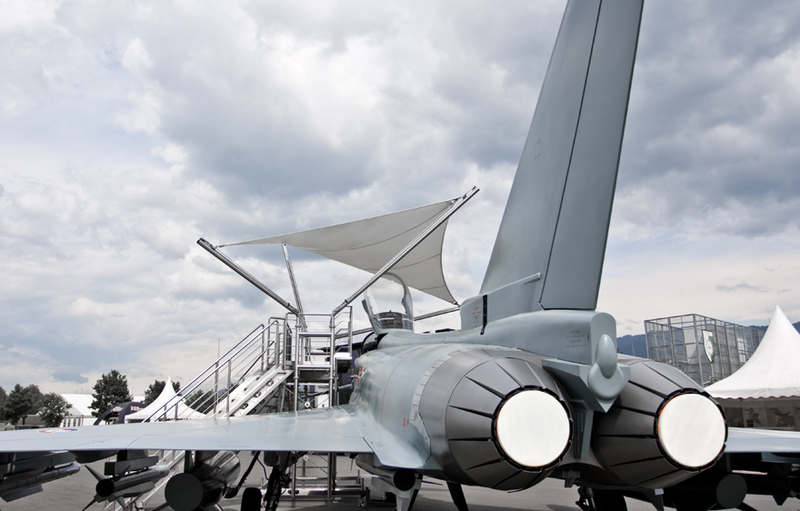 In this project, Vasku & Klug designed a customized roofing to provide spectators a shaded platform during presentations of airplane mock-ups, while also protecting them along with the airplane’s cockpit from weather exposure, including heavy rains. 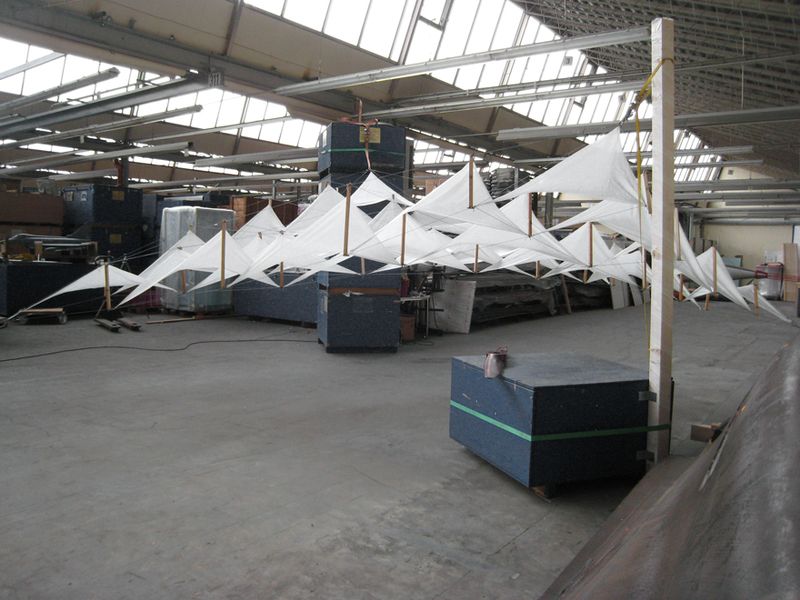 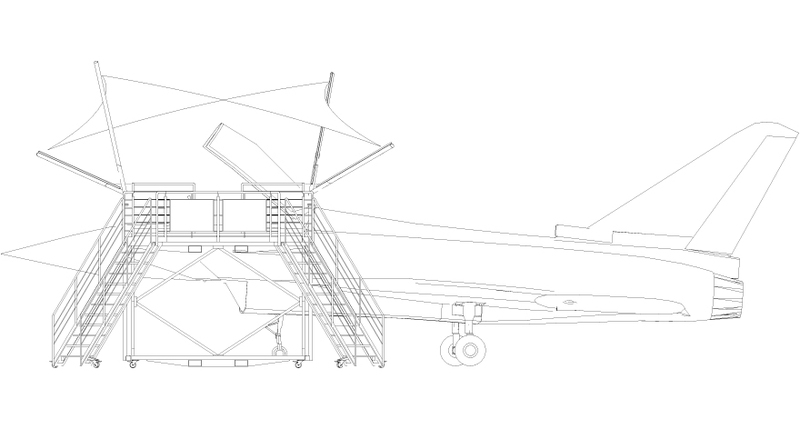 The canopy was adaptable to either side of the airplane and its membrane as well as static elements were constructed in a way that allow for quick dismantling with minimal effort (two people suffice to disassemble the canopy) to turn frequent relocations into a smooth endeavour. All the individual parts were small-dimensioned in order to keep costs and space requirements at a low.